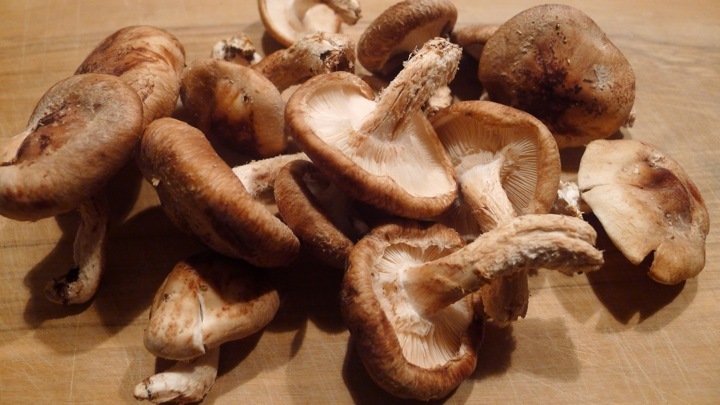 I don’t cook shiitake mushrooms very often, but I got a bunch in my CSA and needed to figure out what to do with them. 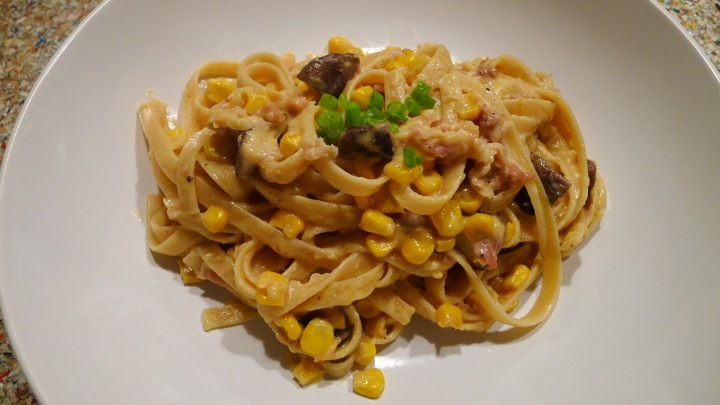 This pasta worked out though! 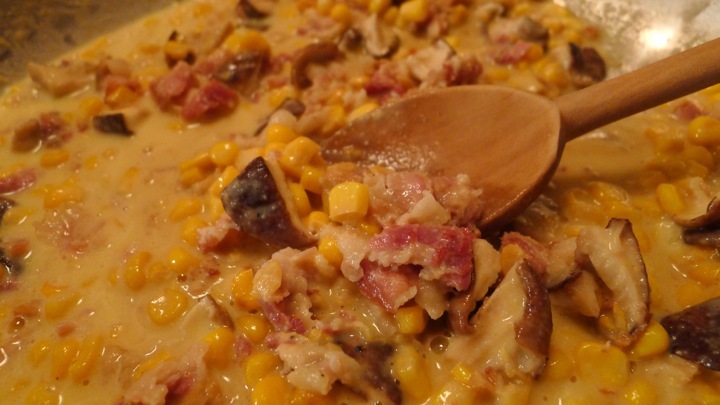 The sweetness of the corn and the salty pancetta helped to give the mushrooms a nice flavor. 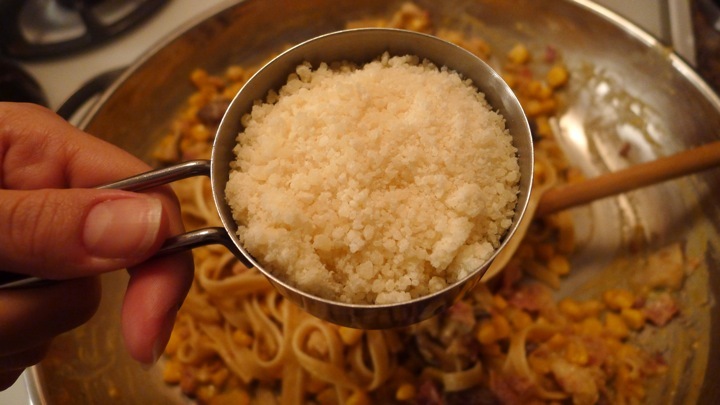 Start by bringing your water to a boil for the pasta. 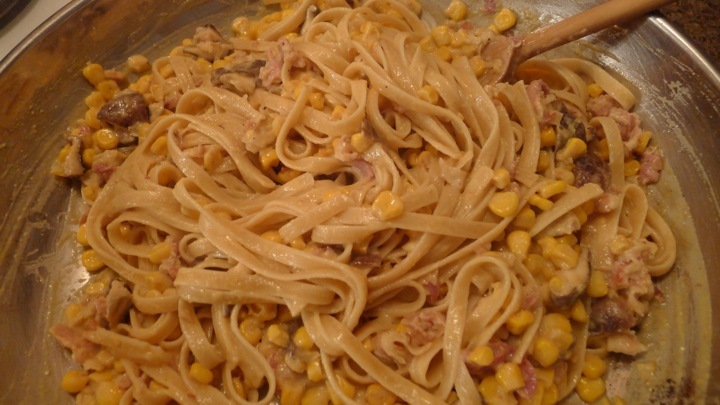 Heat a large skillet and add the pancetta, without oil, browning it for about 3 minutes. 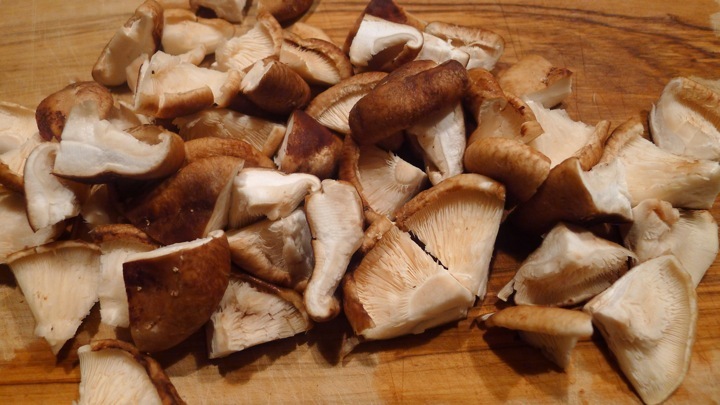 In the meantime, wash the mushrooms, remove their stems, and chop to your preferred size. 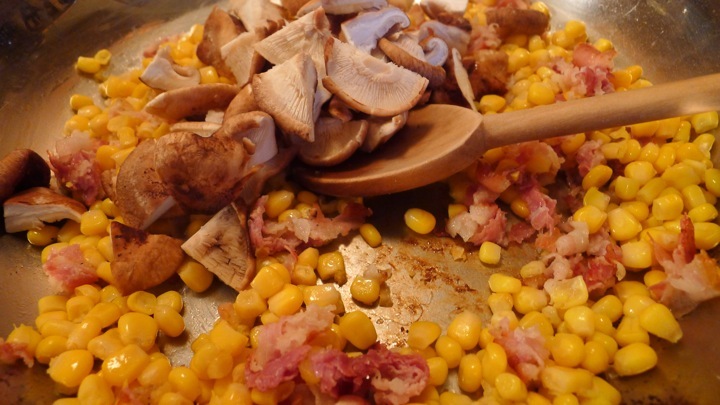 Add the mushrooms and half of the corn to the pancetta, cooking until the mushrooms give off some liquid. 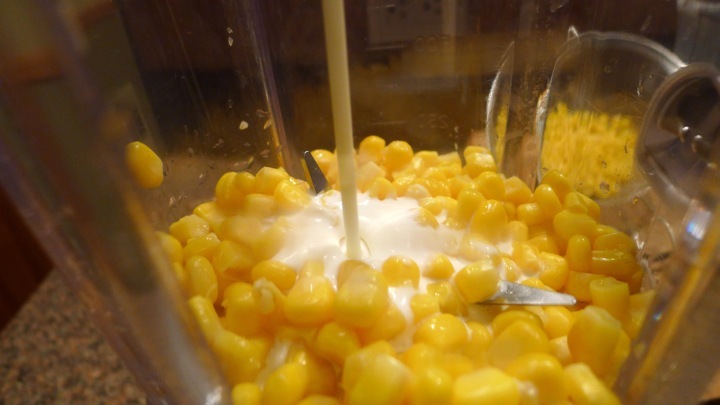 While that cooks, put the remaining corn in a blender along with the cream, and blend until smooth. 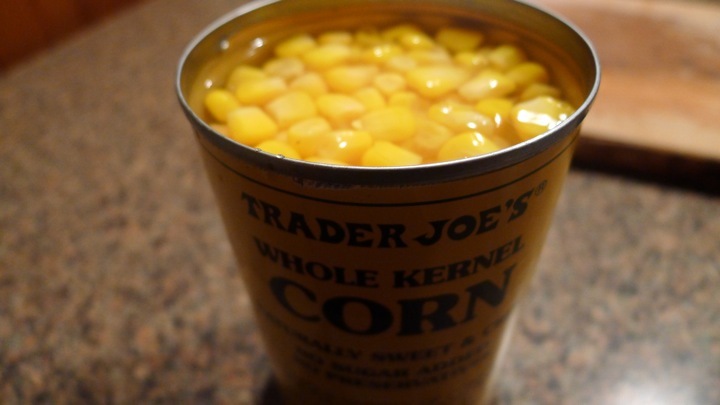 Next, strain the mixture through a fine mesh strainer so that you have a nice thin liquid. 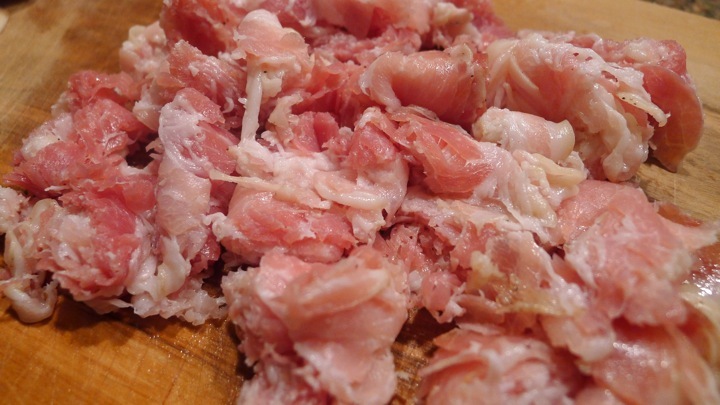 Add this to the mushroom-pancetta mixture and cook until everything thickens, about 3-5 minutes. 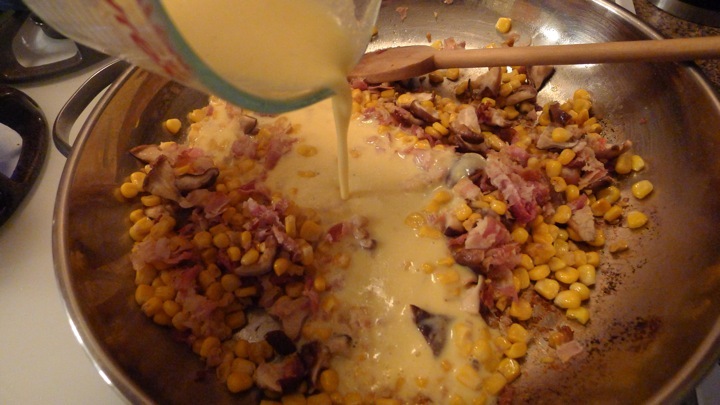 Add the cheese, and salt and pepper to taste. If you like a little heat sprinkle in some red pepper flakes as well. 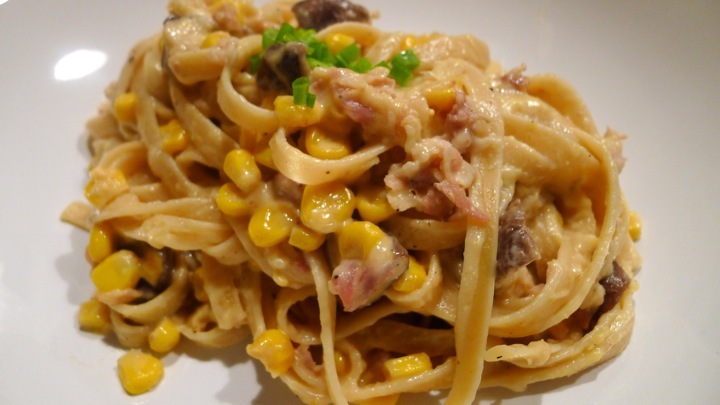 Finally, toss in your cooked pasta and mix well to distribute the sauce. Top with fresh chives or parsley!